Over the last days I was working on a Strat project. I had some parts from a 70ies Japanese Strat copy, which together with an American Fender neck and a loaded pickguard should make a nice part-o-caster. In the seventies many guitars were finished with polyester. This finish is like a coat of hard plastic (actually it is rather a resin). It is easy to apply because you can sand it without much danger of sanding through. This was Fender’s main reason for changing from nitro to polyester in about 1968. Before, a finish that was sanded through had to go back into the production process and had to be repainted, one of the reasons why it was common to find a finish over some other colour. As far as sound is concerned, almost everyone agrees that a thin nitro finish that allows the body to vibrate much more than the thick plastic-like polyester allows a better sound with clearer treble. This might surprise those who think that an electric guitar is like a blog of wood and the sound depends only on the pick-ups and not on the acoustic qualities of the wood or other parts. But this is really the case, I can definitely hear how a Strat or any other solid-body guitar sounds from playing it without amplifier. So it makes sense to remove a polyester finish and replace it with a nitro finish. Many modern guitars are finished with polyurethane by the way, which is a bit similar to polyester but thinner so the sound is not that much affected. Removing polyester is tricky. The problem is that chemical paint strippers in most cases will not work. There are some types that are said to work more or less but the ones I tried did not. I solved the task twice some yeasr ago by sanding down the finish, but believe me this is nothing that you ever want to do. It takes ages to sand through such a thick plastic coat. This time I tried something else, something that was recommended in a guitar forum: heat. I used a cheap heat gun and a scraper, and with these tools the finish was off in about 2.5 hours, including the control cavity. I did not heat until the resin bubbles (which others have described) because then I could only remove rather small pieces. With less heat it was possible to move the scraper under the poly coat and to run it between the wood and the poly so that I could remove rather big pieces of the poly coat. The wood was not hurt and looked almost untouched. I can imagine that if a guitar was refinished with poly over an existing nitro finish, it might be possible to restore the original finish this way. 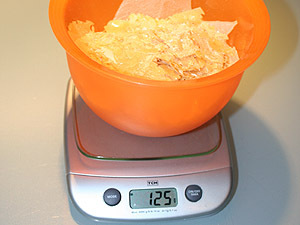 All the poly chips had a weight of about 125 grams (4.4 ounces), and in the case of one of those jobs I did a few years ago it was even 200 grams (7 ounces), so the guitar becomes noticably lighter. As said, there is definitely a difference, but it depends on the thickness of the poly coat, and it is still a subtle difference. The high end is clearer while the poly sounds more compressed. Some years ago I made a sound sample to document the difference between the poly finish and the bare wood so you can decide for yourself. The sound difference when playing the guitar yourself appears even bigger than on this clip. The sample was recorded with the same strings and the same setup, one time before the job, and again immediately after. What you hear are the harmonics at the 12th fret. You can click into the blue status bar to a/b compare it at different positions. The question if the amount of work and the costs are worth the increasement of sound or not cannot be answered generally. First it must be said that refinishing an original Fender – even if it is one of the least desired, heavy 70ies Strats – drastically decreases the value of the guitar! Even those Japanese vintage guitars like the first Squiers, Tokai Springy Sounds, Grecos and so on, will be worth more with the original finish, even if it is poly (the more expensive ones were sometimes nitro anyway). If you however have a guitar that was refinished anyway, you have not much to lose. If you are not sure if your finish is nitro or poly (polyester or polyurethane) you can find it out with the following trick: take some ordinary paint thinner and apply it to a tiny spot of the finish (e.g. under the pickguard or near the tremolo springs). If it solves the finish (paint is removed or it becomes dull) it is nitro, if not it is poly. I think almost all of Mark Knopfler’s guitars are nitro, at least his vintage guitars, the Schecters, the Pensas and the MK signatures are. I can’t think of one that might be poly, maybe his blue Fernandes (but maybe not), but I don’t know about some of the odd ones like his Teisco Spectrum, the Eco on “Song for Sonny Liston”, and some more. His two red Fenders from that early Dire Straits days were both refinished but these do not seem to be poly, either. What do you mean with afraid the finish will become darker? Didn’t you say you want to remove it anyway, or what? I made the experience that the poly coat could be removed with heat and the wood beneath it was not touched, darkened or anything. I only wanted to remove the poly not the colour and flame finish, but I guess that doesn’t work. There are definitely thousands if not hundreds of thousands of guitars out there finished in polyester – its a catalyzed resin, just like what’s used to make fiberglass parts. The advantage from a manufacturing point of view is that it is sprayed on in one coat and then it reacts and sets up within an hour – as opposed to the weeks that nitrocellulose can take to fully cure. It’s your imagination. For solidbody guitars; the electronics – more specifically, the pickups account for over 80% of the overall frequence response. This is the opinion of the majority of makers who even care to spend the time to make the boring argument. The sonic differences between lacquer and polyesters are really only discernible when describing a vibrating soundboard; and even then it isn’t readily evident to the human ear. The last comment by Eric is uninformed at best. Urethane is used primarily as base coats and filler with urethane making up the majority of build and top coats. See Warmoth.com paint technique page for more information. Polyester takes many, many forms; not just lounge lizard clothing – that was just silly. Correction: Polyester for base and grain filling and then urethane for clear coats. >the pickups account for over 80% of the overall frequence response. When I was young I thought like you and exchanged PUs in my Strat. Unfortunately this did not bring me closer to the desired sound. Pick-ups are like microphones: if you use the same mic as Mick Jagger you might have the same frequency response, but still you don’t sound like him. In the contrary, Jagger will sound like Jagger with all mics. My guitar is not a vibrating soundboard and it changed its sound after removing the poly. Didn’t you listen to the sound clip ?? I totally agree that is a great way to explain it with the M Jagger analogy! I had the same revelation 25 years ago, I had this 1991 American Standard Strat I had bought, crappy sounding compared to my 1974 Strat with basically very little paint on it and this guitar has a great tone, and I wanted my new Strat to sound like my 74, so I swapped the pickups thinking the new one would sound just like my ’74 because of the pickups. I’m just trying to discourage people from ruining a perfectly acceptable finish on a solidbody guitar; assuming the finish isn’t already damaged beyond repair. When I was young it was 1964. I build guitars for a living now that I am a retired Naval Aviator and able to do what I want. I attended the American School of Lutherie with Charles Fox when it was in Healdsburg and I graduated from Luthiers International in Atlanta. I studied Classical Guitar making with Ken Hill of Hill Classical Guitars near Santa Cruz. Of interest is that I spent my military career as a submarine hunter in the P-3C Orion. All manner of sophisticated listening devices were my tools and I was very good at it. The proper experiment would have been to use the same model guitars finished with the different “hard” finishes with the same pickup and settings. The frequency response will not be easily discernable but can still be measured to show that the ‘sound’ (for lack of a more specific term) will be nearly identical assuming that the string gauge, string spacing and pole/string distances are the same. If you removed the polyurethane and didn’t refinish with any other ‘hard’ finish the difference would be audible – it would be muddy. Sound files for the internet aren’t very good indicators for anything. The sound files are necessarily low quality so if you still argue your case, I submit that you accidentally exaggerated one or several electronic settings on the guitar and/or the mixing board and/or the recording device… which will also affect the tone to a very significant degree. In “Cunning Stunts”; arguably the most well-produced Metallica live performance, Kirk Hammett played a clear acrylic guitar with different colors of sloshing water in the voids. Pretty telling. The world is not flat and that is that. Fair enough Gary. Still there’s something to be said for a guitar body that doesn’t feel slopped in heavy plastic finish. Doesn’t feel vintage. Really thick finishes add significant weight (125-200 grams) and some of us would just like to re-sand the contours of our Fenders anyway and apply custom nitro colors or other finishes! 1950’s/60’s Strats are a huge inspiration to guitar owners, most of us wish we could get something at least close in feel and tone. Add to which a polyurethane finish seals in moisture that would otherwise have a chance to dry out for decades – certainly not all guitar bodies today are made from ideally-seasoned wood to begin with. Very old Fenders today sound undeniably ‘dry’ because the body and neck woods were possibly better-seasoned before use – and then the instruments DID dry out for decades! Try THAT with a sealed finish. Whether that all adds up to a very subtle difference in sound or just a ‘feel’ these are all desirables that can make a well-finished guitar a joy. The 5-20% degree of sonic difference is just one thing, perhaps (LOL) ‘just’ the overtone series and yet a difference even that small may still be important as anything such as capacitors or specially-voiced boutique pickups. But I appreciate the warnings to not automatically wreck a good guitar just because of the P-word. We’re really here to support the methodology of those open to removing thick poly, & report our own experiences. Thanks! …by the way those audio samples – playing them on my JBL LSR4300 studio monitors I almost can’t believe the difference from example A to B – honestly I first thought the tone control was dialed up from 5 to 10. I’m also hearing an added ‘bloom’ of high-frequencies in the second example. Particularly there is an octave frequency that seems to emerge a lot more clearly about 1/3 of a second after each pluck – this adds to the fuller ‘bell-like’ Strat character and the breathy openness to the sound. Each note pluck is also more present in the second than the first example which again sounds more dead and “rolled off” in tone. Example one sounds like the higher-frequency details are muffled, emphasizing the bassy fundamental, ‘dark’ is another word. It’s encouraging to say the least, if we for a moment suspend other assumptions. This is such a controversy, I got banned from a Strat forum for saying I heard the diffenrence and arguing my case. I sanded down my 1983 Strat which had a very thick polyurethane on it and I brought it down to a very thin layer and the sound brightened up and became more vibrant, closer to my nitro painted Strat. I’m glad some people hear the difference cuz on that forum I was regarded as some out of whack guitar player who imagines sound 😉 Some people hear it , some don’t !!! I agree with Jonas: the difference is easy to hear, when played acoustically, and even more so amplified. The sustain, bloom, and harmonic richness is unmistakable. I’ve seen so many guitar players say they had the same experience, that I doubt it’s all in our heads. It just makes sense, from a physics perspective. Those old stats that are beaten-up, and losing their finishes, like SRV and Rory Gallagher, and many others have played as their main instrument – that’s telling too. Actually Gary Penton, the world IS flat, and that is that – see Eric Dubay’s “200 proofs” and THEN tell me the world isn’t flat…? You say the sound would be “muddy” without the finish, but most guitar players agree having a thin finish, or no finish, makes them sound better. That’s why heavily relic jobs usually improve the sound, if not the looks. The finish muffles the high frequency harmonics, which ring pure without a coating to muffle the sound. I’m not sure if your term “muddy” is the same as my term “muffled”. When you think about the guitar body and neck resonating, it makes sense that a hard coating would muffle the vibrations, unless it’s a very thin and old coating of nitro, which has become hard and brittle. If you build guitars for a living now, can you tell us the name of your business? I’m curious to see what kind of guitars you build. I think maybe the heavy layers of signal processing between Kirk Hammett’s sloshy, acrylic guitar and the recording desk might have had significantly more effect on the sound than the water in the voids, to be honest. The difference is there alright – I too have tried it with an 80s Jap Strat. I’d played the same Strat for 20 years, and knew its tone as well as I know my own voice, and believe me it changed. It is quite subtle, and only really noticeable when running straight to a clean amp with no effects. But that’s what I do most of the time, so that’s good for me. I think the reason it is a bit of a controversial subject is that it shouldn’t really make that much difference – just like a bumble bee shouldn’t really be able to fly – but it does. Maybe some people are better at listening than hearing. I took about two minutes to find a blog written by the Fender finishing shop. This is an excerpt but if your skull is still not penetrated with common sense I suggest you read the entire text at http://www.tdpri.com/forum/archive/index.php/t-19860.html. Here is what Mark Kendrick who has worked at Fender for years has to say about it: “Nitro is not a superior finish. An electric guitar doesn’t ‘breathe’ at 120 db. Billy Gibbons, Geddy Lee, Alex Lifeson, Joe Perry, Jimi Hendrix, Eric Clapton, Roccco Prestia, Jimmie Vaughn, Nils Lofgren, Vince Gill, Chet Atkins, Tom Hamilton, Lenny Kravitz, Merle Haggard, Don Rich, Darryl Jones, Mike Stern, Larry Carlton, Peter Frampton, Sting, Marty Stuart, just to name a few. More are available upon request. Mark Kendrick, Fender Musical Instruments. No seriously now… well said. Thank you for your post. Do you have any experience/knowledge or resources in regards to the same problem of “stripping” polyester off a a piano, part. one that is veneered. 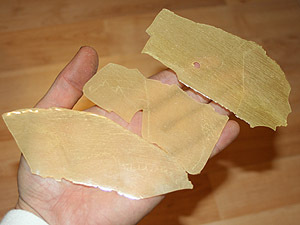 My concern is that the heat, could damage/seperate the veneer bond. Piano, was built in 1908. Thank you for your time. I don’t know how this would work for a piano. When I did this with the guitar, there was not really much heat involved, just so much that the poly coat became warm, far from throwing bubbles or such. Thus the guitar was never in a danger like glue that becomes soft or such. I notice an immediate difference in the guitars I have refinished. It is definitely much more apparent in acoustic instruments than electric but to me it’s more than just subtle. What it comes down to is vibration. If wood is restricted from freely vibrating then now can it’s true voice resonate into the bridge, neck, nut, and tuning pegs and through the strings into the pickup? Each of these elements act as a frequency filter and so does the finish. If you wrapped your vocal chords in saran wrap and sung into a nice Neumann Microphone your voice will never reach it’s true potential. That is essentially what is happening when you wrap a guitar in plastic. Some people just aren’t as refined in their hearing or have spent to much time working near loud machinery or shooting guns. All you have to do is open your ear. Just as a person that has always been deaf can never describe the sound of an ocean or a blind person can never describe a sunset some people just don’t have access to the proper senses. P.S. Listing a bunch of musicians that use poly finishes doesn’t prove anything except that those musicians found the sound they were looking for within those instruments. A Poly finished guitar can sound great but I personally prefer to let my wood resonate more. After reading this post I was curious, so I refinished my MIM Baja Tele because I hated the thick plasticky finish. There is a very discernible difference in sound, exactly like the author describes. I played the guitar plugged into my vibrolux, spent 3 hours stripping the poly, and then plugged it back into the same amp with the same settings. The high end is much more pronounced, and it resonates more even when unplugged. The author’s sound clips don’t do it justice. Gary Penton, who wrote above that the finish doesn’t matter, is flat-out incorrect. It makes sense that Fender would defend poly finishes, because that’s pretty much all they offer anymore. I didn’t know the the polyester coat of the guitar will be that heavy and thick. Now it make sense why its a little bit heavier. post 17 is clearly the author! beware people as the sound clips are intentionally misleading – the tone knob is clearly down in the first example. so keep your good work ! Interesting. The best way to determine tangible differences in the tonal response would be from careful testing. A double blind sound test of a stock instrument against one having the polyester removed. All aspects, excepting finish, would have to be identical. Diagnostic equipment could also be employed to analize and record the response character of each instrument. The resulting data from each guitar then could be compared to the other. It would be interesting to compare the data from the diagnostic equipment to the response of listeners of the test. I thought this subject was dead now ?? Im sure by the many tests online measuring the frequency that sound moves through types of wood , and finishs have proven that there is a difference and it falls within the human audible range . Interesting reading, thank you 🙂 . Poly coating can affect tone( depend of how thik layer is), but my 5cent is that you don´t have to remove it completely. Poly is nice and quality finish, just grind it down a little and re-polish again. You will get same nice clean shine look and less thick coating. I’ve had two of my Strats refinished. On one, the lacquer was really thick and the difference in tone was not only subtle – the guitar sounded like totally transformed. It is totally clear that the big $$$ companies lie about the properties of poly because they want to keep costs low. Their pricing strategies are focused on maximizing profit too. Just take a ’62 vintage reissue fender: poly undercoat, trem block with recessed holes, 57/62 pickups with specs totally off the originals, CTS pots way under 250k. And why? Only because they want to sell the expensive custom shop guitars which finally have correct specs. Nobody can tell me that Fender can’t afford to produce one affordable guitar with correct specs instead of 50 models with all sorts of twists that compromise or change tone. Tomcaster: you nailed it Tomcast! Fender and Gibson are ALL about making money now, and they will lie and deceive to make more money. Why do you think they stopped making the Highway 1 models with thin finishes, and Road Worn models? They purposely make the inexpensive models to sound like crap, unless they are upgraded, which costs time and money – that way they sell more of their overpriced “custom shop” crap, which is often just that – crap. The inexpensive instruments coming out of Asia are so much better now, that I would never buy a new American made Fender or Gibson. Maybe Squire and Epiphone, but they are separate companies within the company, and forced to used cheap components to keep their quality down. You can get a Squire or Epiphone (or other), strip off the finish (if it’s too thick), add better hardware and electronics, and have virtually the same instrument as a custom shop piece of crap, which will often have shoddy construction. It’s almost like the custom shop builders know its a racket, so they do a crappy job instentionally. It’s moot point, because they are firing the custom shop luthiers, preparing for….? What I’m curious about is, how can the wood maintain its unhurt state? Normally it should crack because of the heat. Andra: they are thermally treating, or “roasting” wood intentionally now, to make it sound better, and give it a better “caramelized” look too. Adding some heat likely makes it sound better, just don’t melt any glued surfaces! I did not feel that the wood became too hot from the heat. Just some seconds on a spot was enough to make the poly soft enough to scrap it from the wood, plus the poly coat seemed to protect the wood against most of the heat. Thanks very much for this post and the accompanying pictures – really helpful. I often get requests for refinishing guitars with polyester finishes in lacquer instead – and its the stripping part that really puts me off – I’m astounded that there is 4 to 7 ounces of polyester in these finishes !! I may be using this technique on a polyester coated Strat in the very near future – thanks !! 1. Strip down to bare sealer. 2. Clean as much as possible. 3. Sand the surface a bit with 150 grit sanding paper so that you will create pores onto the sealer coat. 4. Apply liberaly the stripper over the sealer. 5. 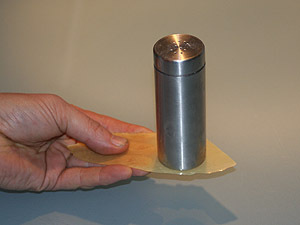 Cover your piece with a cloth, favorably something that doesn’t absorb much liquid. 6. Let it work its way through that thick and impenetrable layer. 7. A few hours later when you remove the towel, you will see that most of it has been peeled off. Great post, exactly what I was looking for. Fascinating that one contributor in particular spoke in a rising crescendo of tone almost to the point of screeching, after his opinion was contrasted. Subsequent statement of relevant credentials never made his opinion any more valid, it just made him look more like a spoiled brat. I guess a life of telling people what to do and think will do that to you. The point missed was that music is an undefined art, and everyone views or listens to art from a different perspective. One person may hear the highest and purest sounds and shiver delightedly, whilst another is busy shuffling noisily through his credentials to prove his neighbour’s perception is utterly flawed. 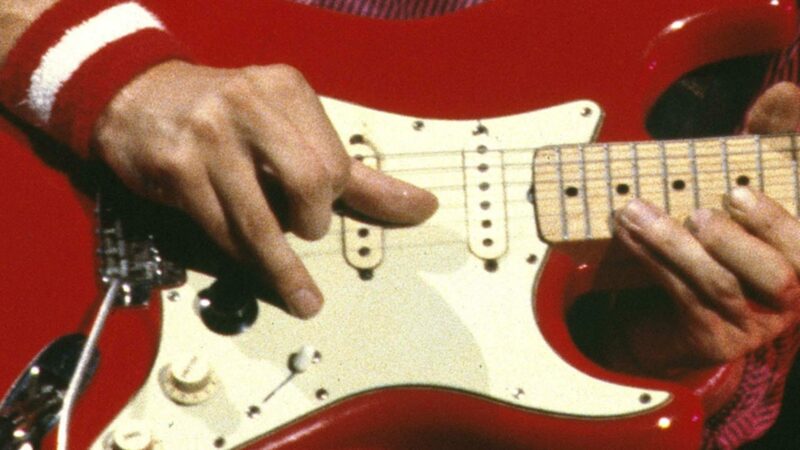 Citing all the musos who use poly finishes is irrelevant (as another contributor said, they found the tone they were seeking), because – in my opinion – the greatest Stratocaster tone of all time came from a guitar with virtually no paint all… yes of course I am referring to the late great Stevie Ray Vaughan’s famous “first wife”, old number one. Let it be stated for the record that there is more than one highly qualified and ticketed guitar maker in the universe… of which I am not one. I taught myself by trial and error, going with what worked and discarding what did not. Thick poly coatings did not. These days I stain in the sunburst with water based wash and finish with nitro, a process that takes many weeks to cycle, but my return customers are not only willing to wait, they demand it. Their musician’s ears (not a highly trained and ticketed professional technician’s ears) know exactly what they are hearing, and what they are hearing is a better tone and sustain from “thin” nitro finishes. As it happens, I am a musician too. The reason I found myself on this page is that more and more people are coming to me asking for a strip-and-refinish, and I was looking for an efficient method for getting that sound-deadening poly crap off. I was already leaning towards a heat gun, so thanks Ingo for not only confirming my thoughts, but showing me the right way to go about it. Well enough playing on the computer, I’m off to the shed to work on some audiovisual tone. I’ve been out of the industry for more than a decade, however prior I spent approx 10 years with a top rated boutique electric bass builder. I’ve performed the tests, I’ve heard the difference, it’s subtle at best when comparing quality finishes found on boutique level instruments. Having said that it is not so subtle when comparing mass produced instruments as the finishes are applied ridiculously thick to reduce labour and risk of burn through in sanding and buffing. Personally I don’t like either. For me the ideal finish is a poly urethane finish that has been applied with care. The primary issue hear is ensuring the instrument is properly prepped prior to spraying. Applying a poly base, sanding it down as much as possible without burning through and applying your color and top coats carefully so as they lay down cleanly leaving only mild sanding and buffing necessary to deal with any mild orange pealing. This gives you an amazingly beautiful, thin, yet much more durable finish than nitro and when applied properly the tonal cost is almost imperceptible. NOTE: in my experience unless you find a very talented sprayer you will not achieve this result so maybe don’t mess with what you have as you will likely just replicate the problems with your new finish. An additional suggestion I might throw out there for paint stripping is a modern technique for paint stripping called soda blasting, this will remove the paint without damaging the wood. I have not used it for a guitar yet, however along with steal and plastic motorcycle parts (current hobby) I have used this process on wooden cabinet doors and some wooden knick knacks giving me experience with its capabilities to strip poly, and not damage the wood. Before you start confusing this with sand, walnut shell, steel shot, glass bead blasting educate yourself and understand the very different physics that results in the paint being stripped through soda blasting (sodium bicarbonate AKA a course baking soda) in really simplified terms the energy released from the soda exploding as it contacts the surface is transferred into the finish causing it to release… okay maybe too simplified. I took the poly laquer off my strat with the heat gun technique. But a word of advice, next time I would file down the corners of the metal scraper so they don’t dig in so much leaving little scars. Gary Penton’s comments were very intereseting to read, but absolutely wrong I’m afraid. From my experiment, I can tell you that it made a brilliant difference on my strat sound. The high end is sooooo much clearer! I had two stratocasters, one with a rich, nice tone unplugged, the other one sounding flat and thin unplugged. The same difference plugged. Both guitars light in weight. i removed all of the thick body finish from the thin sounding guitar using a heatgun and a scraper. Then screwed all the parts together, not changing any hardware, put the same old strings on. The guitar now sounded BETTER than the other guitar that first had the best sound. It was now louder acoustically and richer in sound, more responsive to pick attack. Of course it sounded superior plugged as well. The only explanation I can think of for this ” transformation” is: 1. The wood vibrates more freely without the finish. 2. The heat from the heatgun has changed the wood somehow, mayby dried it, making the wood vibrate more freely – it became very hot while using the heatgun. 3. Removing finish between the bridge plate and the body helps transfering vibrations between the strings and the body. 4. A combination of the above. Gary Penton doesn’t know what he’s talking about. The finish is very important to the sound of a guitar. I agree… the past few years ive been buying up dirt cheap guitars and refinishing. The difference in sound is clear and immediate. I finish with polyurethanes btw. Greg McKay is a bit harsh on Gary Penton. If indeed Mr. Penton’s vitae is as stated, he should be attended. His credentials if real are very impressive and should cover all this blog well. If overstated or incorrect or fraudulent, I would then agree with Mr. McKay. Just sayin. I do indeed hear a difference between poly that is heavily applied and very thin nitro that allows the axe to breathe and age properly. But though I only have 50 years experience with doing this I can be wrong just as likely as right. Is there a need to attack others with differing opinions? Not to my mind, Music is an entirely personal and subjective experience. What one may find beautiful and harmonic, another may find screeching. No offense meant to either gentlemen. Just remember we are men and not 7th graders having a peeing contest. Obviously every one here LOVES musical instruments. Lighten up please. It is unseemly for grown men to be insulting each other when ALL of us love music so very much. We all are in search for that elusive “perfect” tone. I doubt any of us will ever satisfy ourselves and get it. At least I hope not. The joy is in the search. Be blessed and play on!!!! Just bought an Ibanez AGS73t which unfortunately comes with a protective plastic case…installed free of charge from the factory. Ever see a see-thru plastic case for a phone? Same thing here. I’ve never experienced this on a guitar and frankly can not stand it. The plastic case makes the guitar look like a toy. I’m thinking a heat gun and a scraper will be the way to go. anyway I sanded down my 1983 Strat which had a very thick Polyurethane on it and I brought it down to a very thin layer and the sound brightened up and became more vibrant, closer to my nitro painted Strat which is very vibrant. I’m glad some people hear the difference cuz on that forum I was regarded as some out of whack guitar player who imagines sound ???? Some people hear it , some don’t !!! Well thanks to you and your site , my 83 Jap Strat which I couldn’t get “that sound ” I wanted, I decided to sand it down to a very thin layer and it changed it sound, it brightened up, closer to what my nitro Strat sounds like, which is vibrant and sounds great! it’s now in the same kinda vein, not exactly , but at least I like its sound now. I think I will do it with my 2 83 Tokais too which are poly too, although not as thick an the 83 jap strat was !!! Cuz I argued my point and stuck to my opinion against their God “Ron Kirn” , they were just making all kinds of dumb jokes, so I decided to joke too , my last post, and they banned me saying I was argumentative, but they kept arguing and cuz I didn’t agree with them!!! poly vs Nitro makes ZERO differance. the reason you here the tone differance on a vintage guitar is quite simple. nitro is porous and thus alows the wood to ‘breathe’ I.E. it lets the wood cure for decades, the wood dries and shrinks(its also why you get crazing checks in the finish which is cuased by the shrinking),anyway dry.long cure wood resonates more. 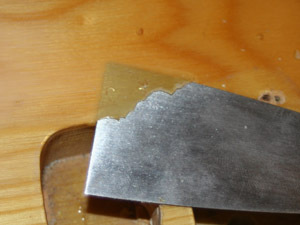 the poly on the other hand seals the wood in a plastic noinporous evelope. the wood will stay the same humidity inside as it did the day it was made 100 years later. 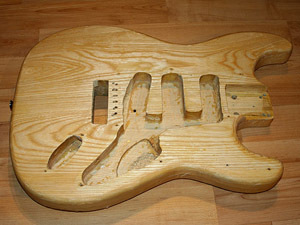 ideally a guitar would be naked finish to dry over years but then humidity could seep in. this phenominon is why aged violins or acostic guitars have such a resonant sound, the are naked on the inside, not ideal becuase of soundboards warping etc etc. but the wood does dry. on a solidbody with nitro the curing process is slowed down to a crawl which is great. this same process happens with new wood that is stored….the woodcrafters will wax the ens of the logs to slow curing to avoid the wood cracking while curing for years. hope this helps and dispells the myth of the “nitro tone”. That theory makes sense, but would only apply on older guitars, since new guitars haven’t had time to dry-out yet. Jimi Hendrix’s two favorite strats were made in 1968 with poly finishes – that was the first year Fender used poly. Previously Hendrix played new at the time starts that had nitro finishes, so he knew the difference in sound and feel, but still chose the poly. I have a 1997 Hendrix strat, which is a period correct mirror image – I’m right handed. It too has a poly finish, and the only difference is that the fingerboard is a slab maple board rather than a maple cap like 1968 strats used. The pickups are wound by Abigail Ybarra (sp? ), the same woman who wound the 1968 model Hendrix used. If only I could play like him! I can understand why he like the upside down start better than a lefty model, although there are some disadvantages, such as reaching higher notes. It’s got the tone, but I need to practice all day long for years on end like Jimi did. He even cooked with his guitar on, slept with it, and sat in the loo playing it unplugged for hours on end…! Thinner the better for hollow or semi hollow body. Soda blast.